Yeah, yeah, yeah, very little is "free" free these days, especially a solid game with good production value. Run 'n' Gun unsurprisingly is a game hoping to bring in revenue via in-game micro-transactions. 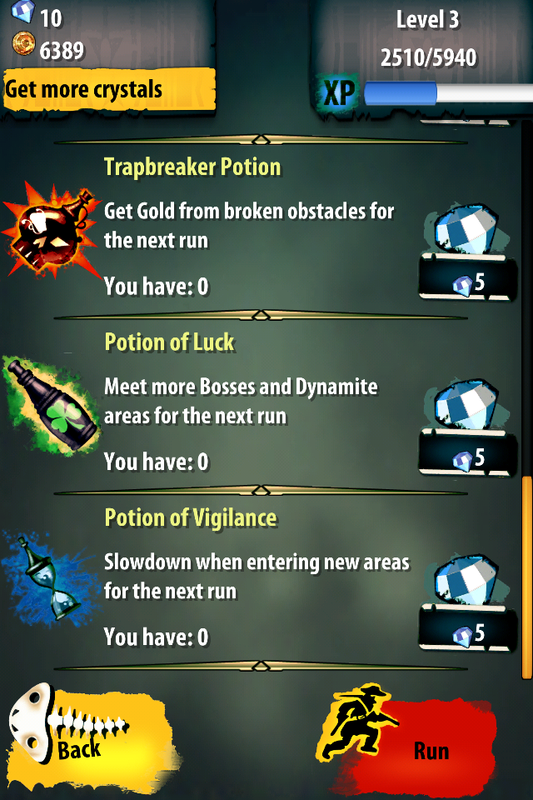 But it's core game, a never ending runner where you're chasing goblins through a fantasy town (and beyond) is well done with a few layers of satisfying RPG character building and trophy hunting to be had before you'll get frustrated to the point of needing to spend some real money on this game. Which is really when a micro-transaction game is living up to the payment models potential...being like that of a street performer providing you entertainment that you can enjoy for free for an acceptable amount of time, where after it's up to you to decide if they've done a good enough job for you to toss a dollar into their hat and stick around for another go 'round. You start as one of a handful of unlockable (purchasable) characters. 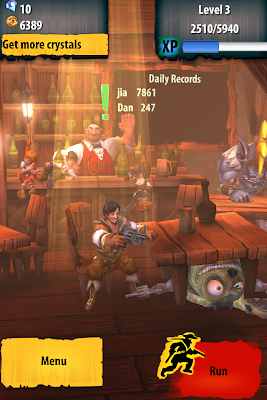 From the Tavern area you can choose current tasks to accomplish while on your run to earn more XP and coins. 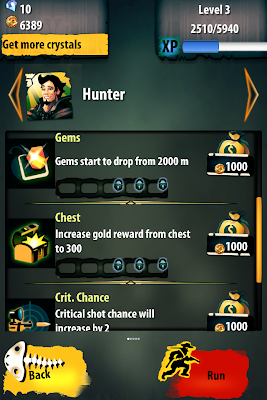 Coins and crystals are used to make in game purchases. Naturally you can grow your in game wealth with real world currency if you so choose. 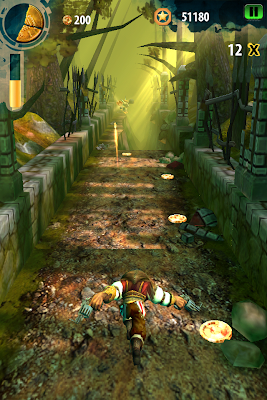 The actually game play, a never ending runner in the same vein as Temple Run, is very well done. The graphics are great, where beams of warm light seep from the towns various cottages and inns, and an eerie haze lingers in the woods. What stands out are the character animations, and it actually is a simple demonstration of the impact 3rd person animations have on the immersion and engagement of game play. With every corner taken, your characters seem to react to a sharp turn, sliding or leaning to compensate. It's a simple touch, but one that pays in folds. That and smart camera choices like dropping just right for slides adds to the action and instills real 3rd person shooter intensity to what in reality would be a very basic running game. 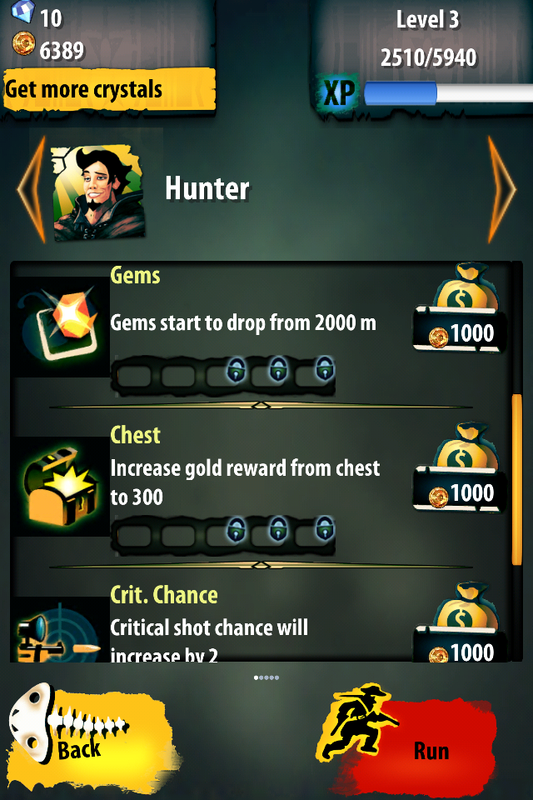 As you level up, you earn crystals (or again, they can be purchased) which allow you to buy new equipment and potions. XP points and Gold can be used to build your characters skills and gain bonuses. 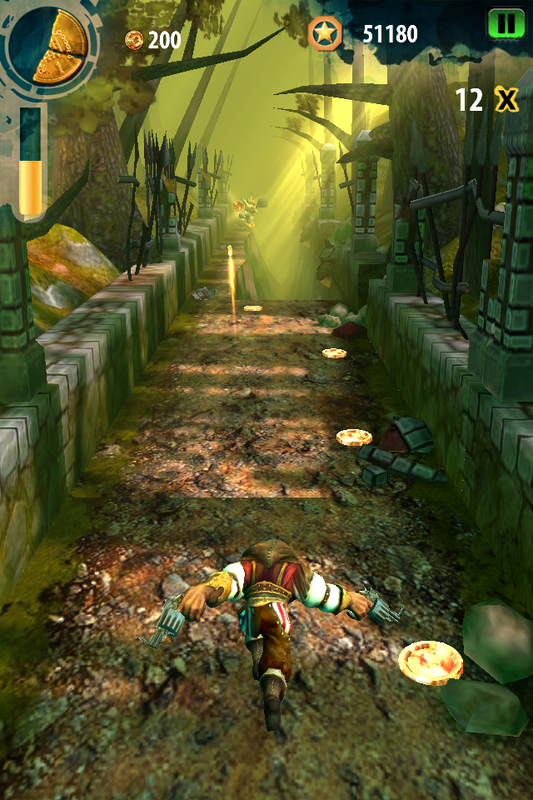 If you like games like temple run, you'll love Run 'n' Gun. If you're just looking for a game to take up a few minutes, and want a little more intensity to something like Bejeweled, Words with Friends, or Angry Birds, you'd still be well served to put your sights on this freebie. And if you really end up liking it...don't forget to throw a buck in the guitar case. Run 'n' Gun is developed and published by Gaijin Entertainment. Currently available only on iOS devices.